Rikers Island's Former Medical Chief Highlights Health Risks Of Imprisonment : Shots - Health News Dr. Homer Venters describes a number of traumatic outcomes related to subpar medical care inside the New York City jail complex, including the death of a man who was denied insulin during intake. Dr. Homer Venters, the former head of New York City's correctional health services, says that inmates held in solitary confinement cells, such as the Rikers Island cell shown above, have a higher risk of committing self-harm. As head of New York City's correctional health services, Dr. Homer Venters spent nine years overseeing the care of thousands of inmates in the jails on Rikers Island. Though he left Rikers in 2017, what he witnessed on the job has stayed with him. "What's important to consider about jail settings is that they are incredibly dehumanizing, and they dehumanize the individuals who pass through them," Venters says. "There is not really a true respect for the rights of the detained." Venters is now a senior health and justice fellow at Community Oriented Correctional Health Services. 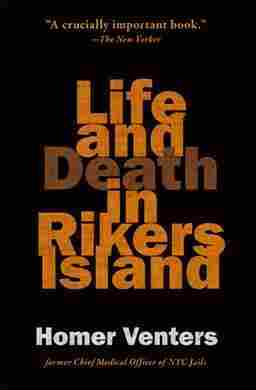 In his new book, Life and Death in Rikers Island, he describes a number of traumatic outcomes related to what he says was subpar medical care at the jail complex, including the death of Carlos Mercado, a man with diabetes who was denied insulin during the intake process. "This type of death really shows, in a very stark way, how jails confer health risk to people," Venters says. "For a person to know that they are insulin-dependent — to report that and then for any state institution to fail to act on that, really puts the onus and responsibility for this man's death directly on the jail system." During his tenure at Rikers, Venters pushed to improve the electronic medical records system, allowing health data from the jail to be shared with outside agencies, including the Department of Justice. He sees it as a first step in a larger effort to address abusive conditions and improve inmate care. Working at Rikers, Venters says, "left me with a zeal to continue this work all over the country. ... The problems of Rikers are in many cases the problems of jails and prisons everywhere in the United States." I happened to go there for the first time on a day where there was a very strong snowstorm. As someone was showing me around some of the facilities, the snow was coming down so quickly it really did seem like a scene from a sci-fi movie. I couldn't believe that the structures looming up one after the other were real. [And] the yelling coming out — the two biggest and most well-constructed facilities at the time on the island were these big buildings that look like hotels. But they were built for solitary confinement, so people [were] screaming and yelling out of those big structures, through this very thick snowfall. It left an indelible impression on me. Patients would be moved from one housing area to another, and sometimes their move would be updated a couple of days later. Somebody would have to type it into a computer system. But it would mostly be updated on a paper-based log. Since I left they've started implementing some wristbands that could be scanned, but it's the same problem — an officer has to do something, [and] you have to affirmatively track it. So for us with a big health service — thousands of patients on medications every single day — we had pharmacy technicians, psychologists [and] nurses who were working hard just to find the patients who had missed medicines — who could be facing a life-threatening event if they miss that medicine. It was so routine that we couldn't find our patients that there was no thought that we could find everybody who didn't get their medicine today. But we would make short lists of the people who missed medicines that were what we would call "life-sustaining medicines," or who could face a very dire health outcome, and that expenditure of energy for that purpose would become revealed when patients had very bad outcomes. One data point that's really incredible to consider is that there was a time when, if an adolescent was in a violent conflict with someone in Rikers Island, if the conflict was with a correctional officer they were more likely to sustain a blow to the head than if the conflict was with another inmate. It's stunning, because obviously correctional officers have enormous amounts of training about avoiding blows to the head. ... And also you would think that most inmate fights start with a shot to the head. But that data point alone ... we could only do because we had developed this injury surveillance system. But it was one of many that we pushed to the D.O.J. 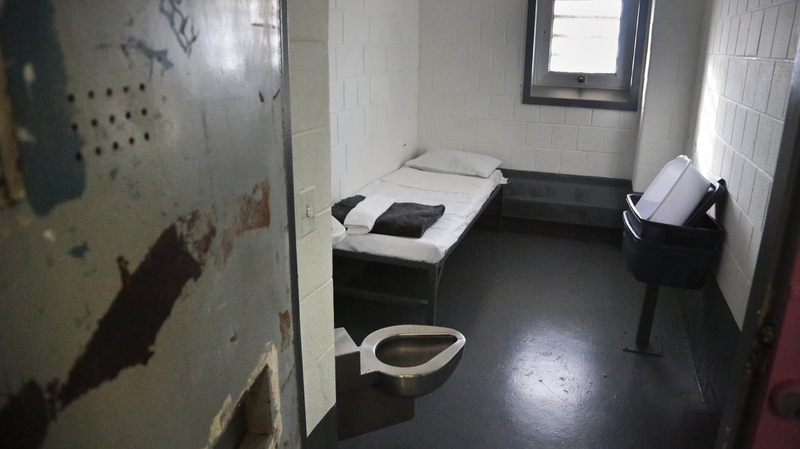 The other big data set that we found very, very helpful is we did a large-scale analysis — I think the first-ever large scale analysis — of exposure to solitary confinement. We looked at 225,000 jail admissions and we found that the people ... exposed to solitary confinement had about seven times higher risk of being a self-harm cohort. That is to say, to physically harm themselves. That data set ... helped us really push the Department of Corrections to move from wanting more solitary confinement for mentally ill people, to actually eliminate the practice of solitary confinement for persons with serious mental illness. I've been inside these cells to talk to patients multiple times when they've smeared feces all over the inside of the cell. Or they're working to light a fire inside their cell. It's just very, very extreme behaviors and any one of these observations should be enough to reaffirm that this is a horrible practice-- that we should have never built this unit and we need to back away from its use everywhere. The closing of Rikers is absolutely necessary. It's not sufficient to transform the criminal justice system in New York City to become more humane, but it's necessary. The jails that are in operation are crumbling. If you're a correctional officer, almost anywhere you work, any housing area, any hallway, any intake pen is so dilapidated and falling apart that inmates easily can arm themselves — and do for their own protection — with bits of hardened material that are broken off from walls; from pipes; from ceilings. I think the other important element to this is that we have much more work to do to lower the jail population. We've made great strides in New York City, more than most big cities have. There were probably [22,000 to] 23,000 people in the jails when [Rudolph] Giuliani was mayor. It's now under 8,000, so really incredible progress. But there is much more work that can be done to create alternatives that involve treatment for people with serious mental illness, and also to really develop supportive housing, which is an important element to why people cycle in and out of jail. [There's] a lack of stable housing. [Housing] can also involve treatment for addiction and for mental health problems. Roberta Shorrock and Seth Kelley produced and edited the audio of this interview. Bridget Bentz and Molly Seavy-Nesper adapted it for Shots.